A MAN from Makokoba in Bulawayo died last week due to alleged health complications related to his excessive alcohol consumption. Msilisi Mlotshwa (48) of 1824 Third Street in Makokoba suburb in Bulawayo who is a well-known habitual drinker is said to have collapsed while at his home and died on admission at Mpilo Central Hospital. He was buried at his rural home in Filabusi, Insiza District in Matabeleland South Province last week. The deceased’s niece Ms Sithulisile Mlotshwa confirmed that her uncle was a habitual drinker and that doctors said his death was a result of excessive alcohol consumption. 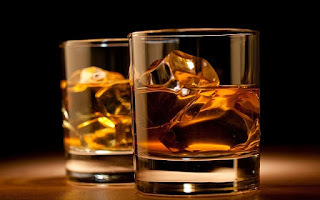 “My uncle was a heavy drinker and he was in the habit of drinking a wide range of whiskeys and spirits without having consumed any food and this proved to be hazardous to his health as doctors said his death was a result of a collapsed liver and lungs due to excessive alcohol indulgence,” said Ms Mlotshwa.